I came to cyclocross as it looked like a fun discipline to undertake during the winter months. Ever since then, I have been hooked and raced every CX season since 2011. My first CX race was at the 2010 Warburton Cycle Festival, which included a crossing of the Yarra river. Off the bike I am studying Engineering at Uni. I also enjoy building and tinkering with RC cars. I love cyclocross because you can be as competitive as you like, or race just to have fun. It combines a number of challenging elements, skills, tactics and also strength. Which makes for great racing. 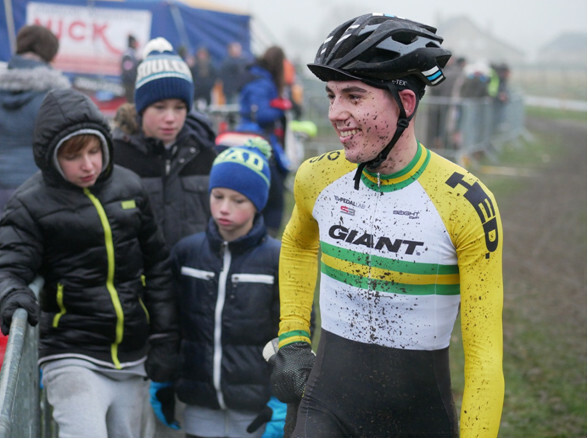 Cyclocross in Australia… is heading in the right direction. It would be great to see the addition of more technical courses, such as Fields of Joy. Each year the number of people coming to ‘cross has increased across all grades, which is great to see.